Dr Chen Jung Tsai is currently the Acting Director of Intelligent Sensing Technology System Technology Division. He leads the team to develop different innovative technologies including LED backlight, high dynamic range (HDR) display, smart digital signage, audience analysis system, 2D/3D interactive pico projector, optical touch & non-touch human machine interactive (HMI) sensing system, intelligent / interactive wearable display (head mounted display or HMD) for AR/VR applications, laser holographic automotive head-up display (HUD), 2D/3D automatic optical inspection (AOI), intelligent industry robot (vision & cognition), deep learning based machine vision system, and intelligent manufacturing (industry 4.0) related technologies. 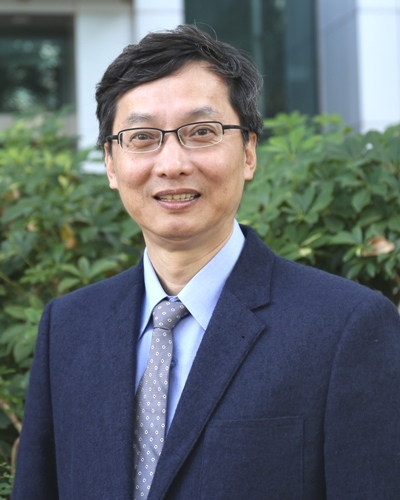 Before joining ASTRI in 2005, Dr Tsai co-supervised post-graduate and PhD students to develop novel optical inspection and semiconductor packaging technologies from 1995 to 2003 at the National Taiwan University. From 1998 to 2005, he worked at the Macronix Co. Ltd., responsible for the development of new packaging and implementation of mass production. Dr Tsai has over 20 years of research experience. He has been granted more than 60 patents in the US, Chinese Mainland and Taiwan.